Search the Internet and you’ll find hundreds of articles to help transitioning military. But what about their spouses? When a Soldier, Sailor, Airman, Guardsman or Marine transitions/retires, it affects the spouse, too. Where can a military spouse go for help handling the changes they face? Here are some articles that may help. Make sure to scroll to the end where MilitarySpouse.com offers helpful links to online resources including transition assistance by branch of service, school ratings (K-12), state tax information, and cost-of-living calculators for comparing cities. This list covers everything from Tricare and moving to volunteering or starting a new career. Military Spouses: This Military Transition Is Yours, Too! Get four important tips for how to address your family’s financial readiness as you transition into the civilian world. USO Pathfinder Scouts help transitioning military members and their spouses navigate re-entry into civilian life. Scouts connect individuals to public and private resources nationwide up to one year prior to transition and one year after separation. Find a USO Pathfinder location near you. Read how the USO Pathfinder program helped one military spouse and her family work through the transition process. USBA recognizes the important role military spouses play. 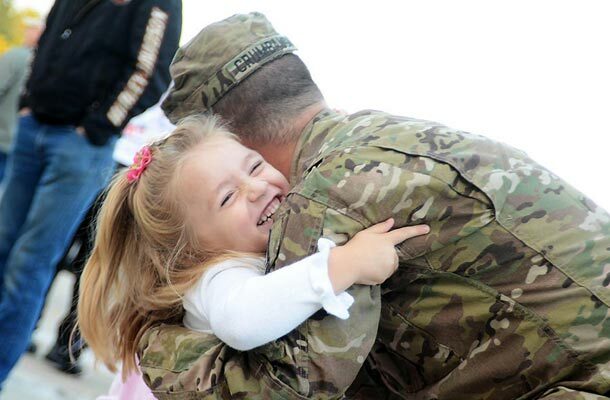 That’s why we offer affordable life insurance for qualifying military spouses. A USBA member’s lawful spouse, age 54 and under, may obtain group life insurance coverage as an Associate Member even after transition or retirement. Learn more.